ST. GEORGE — On a night that all four state playoff spots were filled, first-place Pine View lost its first game of the season Friday as Canyon View took down the visiting Panthers, 46-44, in Cedar City. 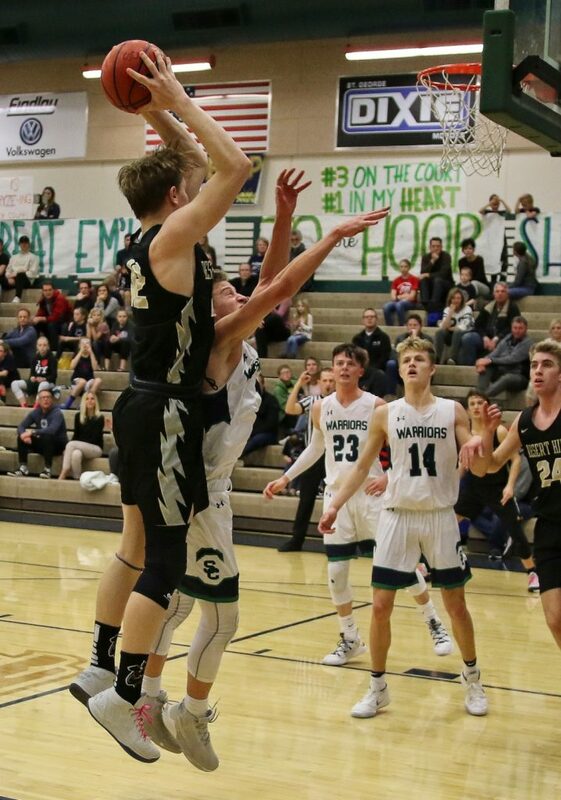 The Falcons’ Parker Holmes hit a pair of free throws with under a minute to play to break a 44-44 tie, and the Panthers were unable to score on a last-second shot. Canyon View’s win, combined with a Desert Hills loss, earned the Falcons a spot in the playoffs. Canyon View led by one point heading into the fourth quarter and extended its lead to 40-32 with about four minutes left in the game. But Pine View went on an 8-0 run to tie it and briefly took the lead at 42-41. 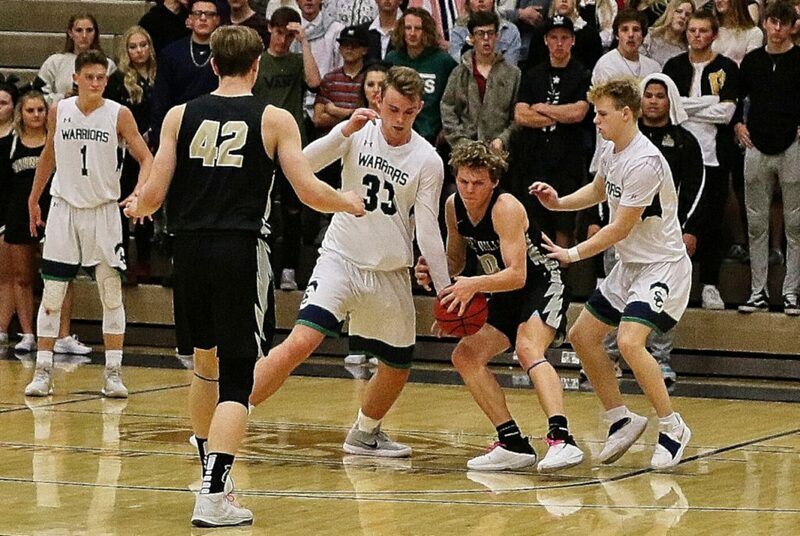 The Falcons’ Mason Lyman hit a big 3-pointer, but Pine View’s Ryan Hopper tied the game with a basket, setting the stage for Holmes’ heroics. 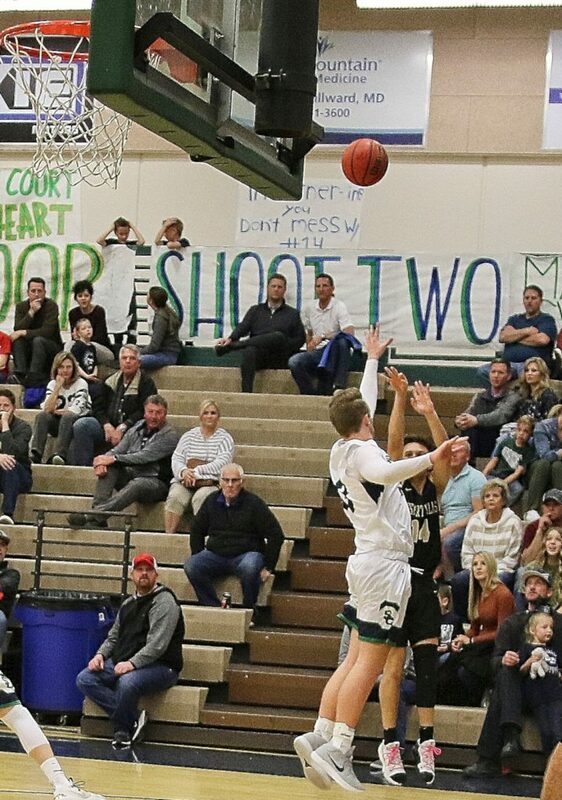 Trevor Farrow led Canyon View with 13 points, while Holmes added 10. The Falcons have a bye Wednesday, then close out the regular season at Dixie. Pine View’s Michael Moore was the game’s high scorer with 14. Hopper and Taiven Shepherd each had 8. The Panthers play at Hurricane Wednesday. 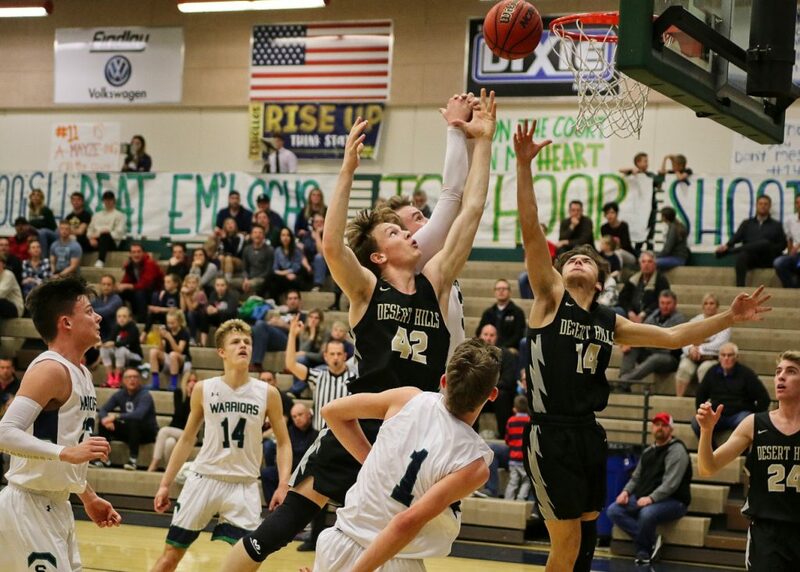 Despite the loss, Pine View clinched the region title because Hurricane lost; the Panthers had earned a share of the title on Wednesday. The Tigers had a slim, mathematical chance before the game, but fell to Dixie, 64-52. Friday’s game got away from Hurricane after the first quarter, which ended with the Tigers trailing by just two points. However, the Flyers outscored the visitors by 20-9 in the second quarter, then added five more points to the lead in the third, putting them up 51-33 going into the final quarter. Dixie’s Jordan Mathews had a game-high 17 points. He got strong support from Isaac Finlinson, who scored 15, and Nic Roundy, who put up 14. Dixie travels to Desert Hills on Wednesday. Hurricane got 14 points from Bryce Thomas and 8 from Dallin Davis. The Tigers host Pine View on Wednesday. Both Dixie and Hurricane are in the playoffs. In the other region game Friday, Snow Canyon beat Desert Hills, 61-49. The loss, combined with Canyon View’s win, eliminated any chance the Thunder had to make the playoffs. The Warriors led by just two points after three quarters, but clinched the game with a 16-6 fourth quarter. 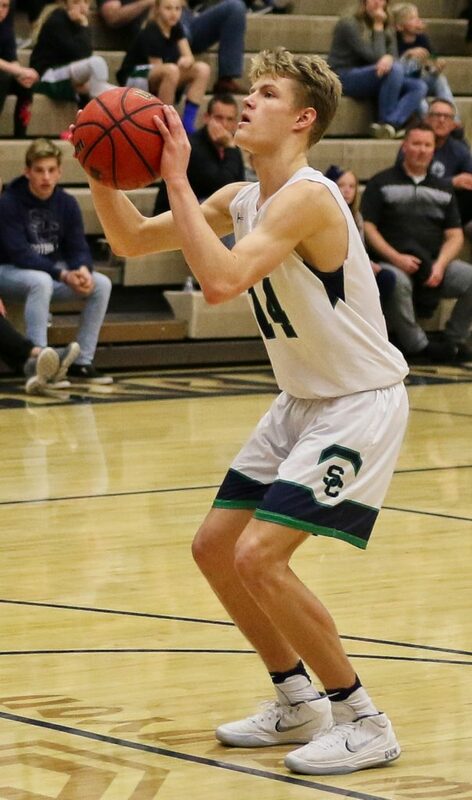 Cole Warner scored 17 for Snow Canyon and Joey Robertson added 15. 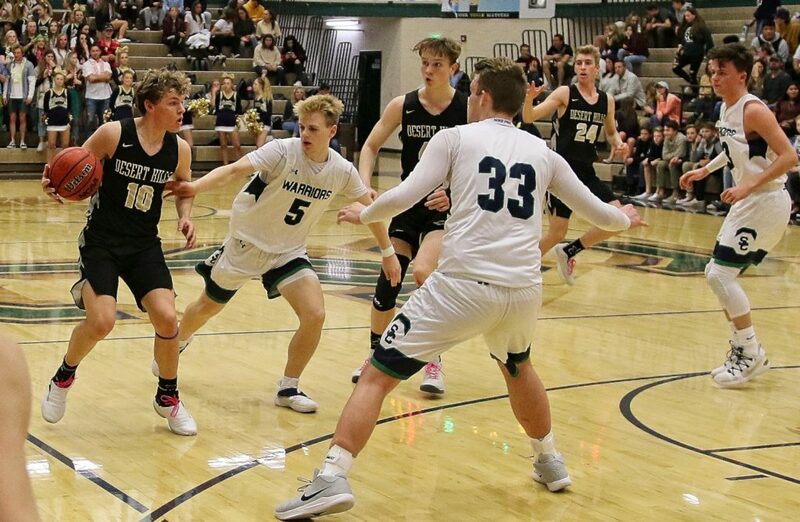 The Warriors host Cedar High on Wednesday. 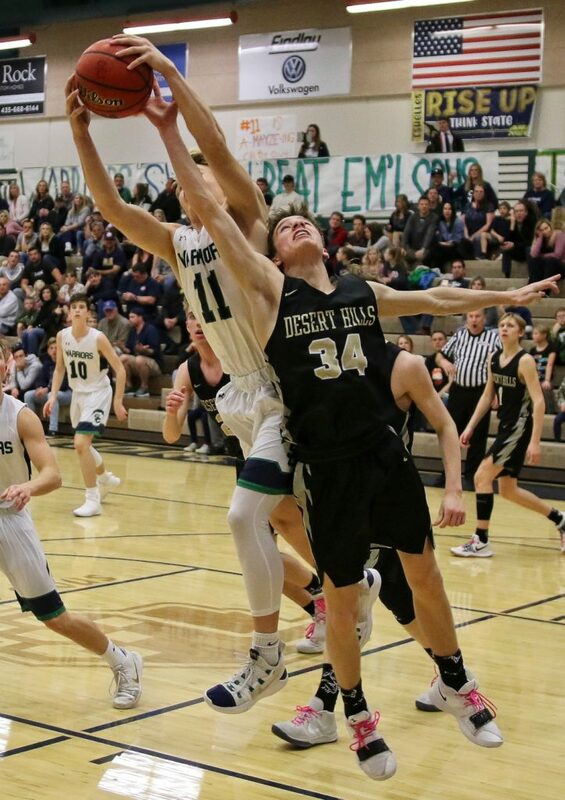 Desert Hills was led in scoring by Trevin Lindstrom, who tallied 12, while Mason Chase had 9. The Thunder host Dixie on Wednesday.